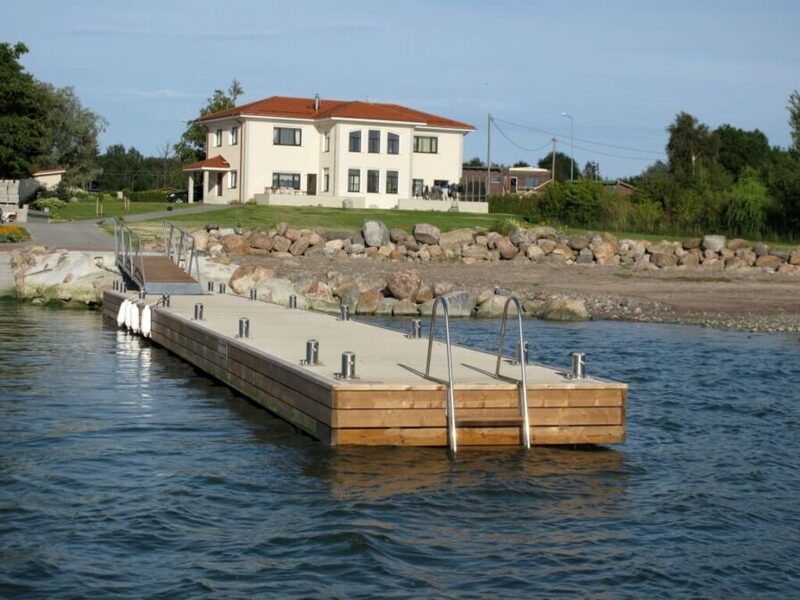 You have already installed, or are planning to install, a pontoon boat at your home or at summer cottage. How can you personalize it and make it more comfortable? With accessories, of course! Below, we will give you a brief overview of the most common accessories used on boat pontoons, so you can choose the right options for your needs. Undoubtedly, the most important accessory. A swimming ladder makes it easier for everyone, both young and old, to go for a swim and to get out of the water. Which type of ladder do I need? 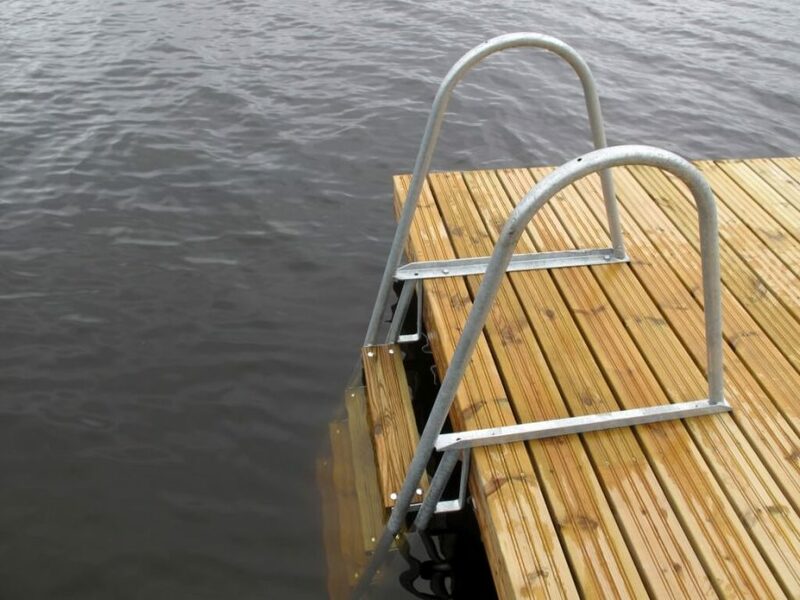 In the case of a floating pontoon, a four-step ladder is sufficient, as the pontoon moves with the changing water level, and therefore, there is no danger that the ladder will no longer reach the water when the level drops. A ladder that is too long can also get stuck to floor of the body of water and damage the pontoon. 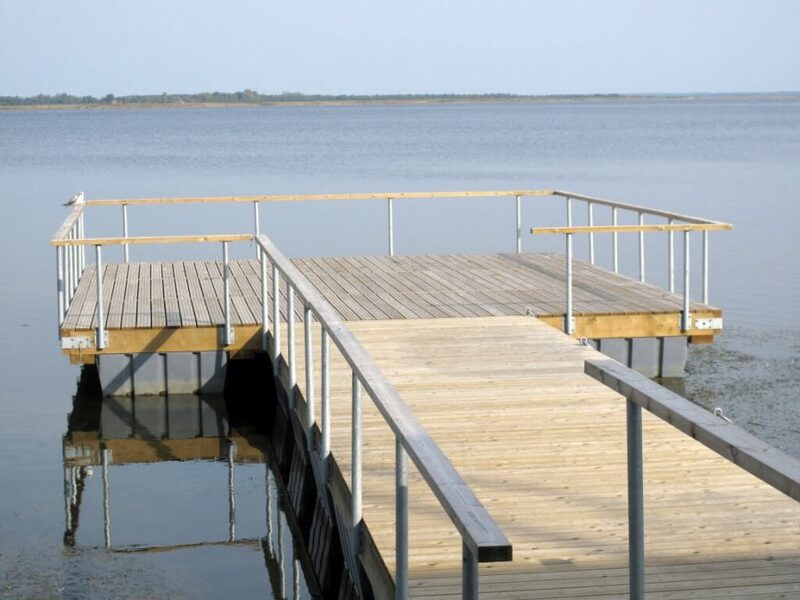 Longer seven-step ladders are used predominantly on stationary fixed pontoons or terraces, as in these cases, a shorter ladder might no longer reach into the water when the water level drops. 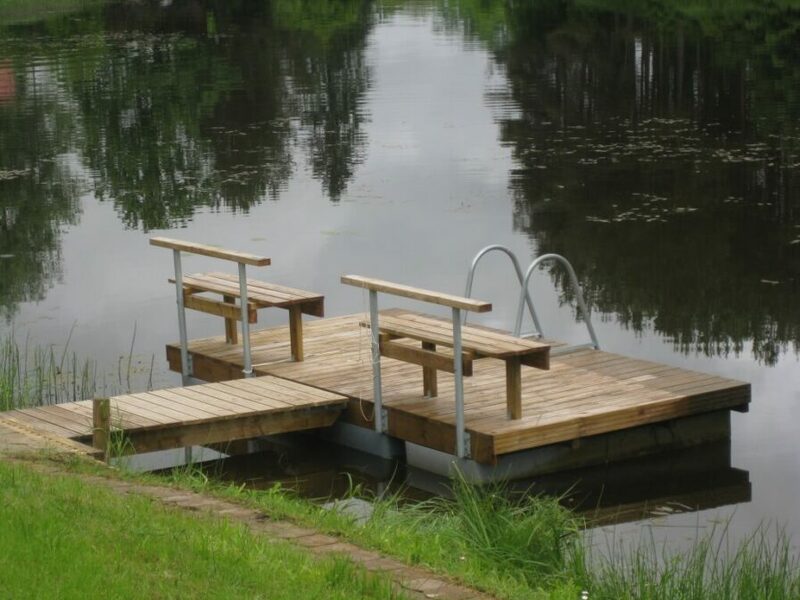 The product selection also includes retractable ladders, which allow the steps to be lifted from the water. This option is convenient for watercourses (rivers, streams), where debris or branches floating downstream might otherwise get stuck and break the ladder with their weight. Railings enhance the safety of the boat pontoon and increase comfort. How exactly? For example, if you go swimming, you always have somewhere to throw your towel, and at the same time, it also reduces the possibility that a person close to the edge can just fall into the water. When using the railing with a bench, you’ll also have the added benefit of creating place where you can take in the sun or the sunset on a nice summer night. Flowerpots can also be hung on the railings, or you can personalize them in other creative ways. 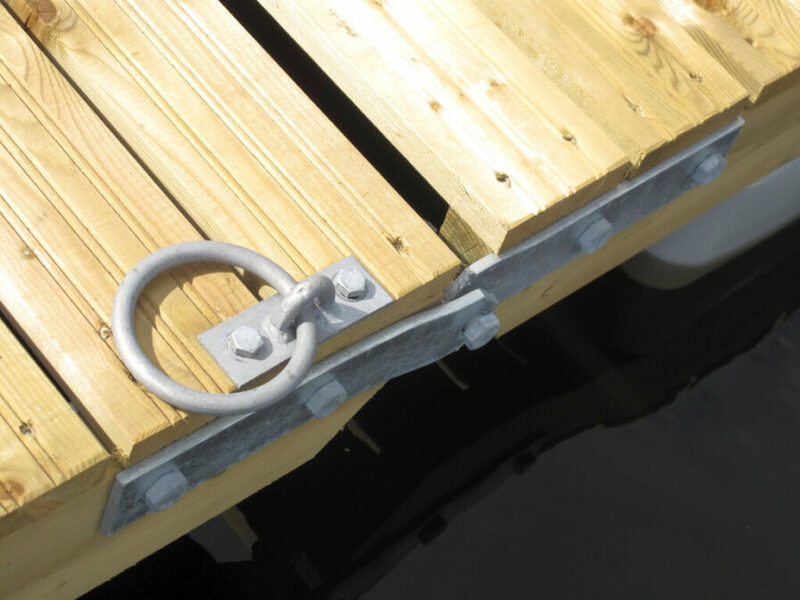 If you want to attach a boat to your pontoon, you have to either use mooring rings or bollards. When choosing, take into account the specific nature of the pontoon boat structure and the size of the boat. Bollards and mooring rings are available in a variety of sizes, either hot-dip galvanized or made of stainless steel. When the boat is kept next to the floating pontoon, it can get scratched when it is moves in the water with wind or small waves. How can this damage be avoided? That’s easy; just attach fenders to the pontoon to avoid contact between the body of the boat and the floating pontoon. 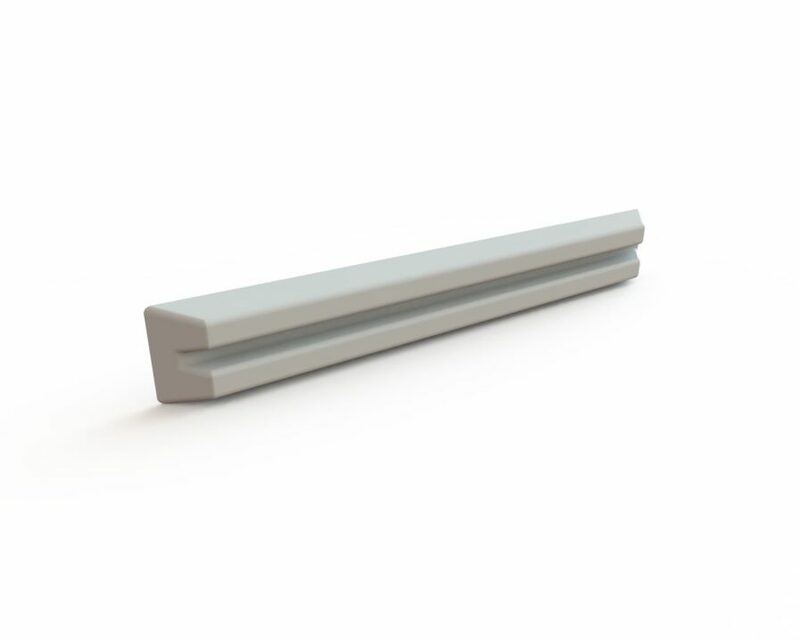 Our range includes long-lasting fenders of different sizes; available in white or grey. 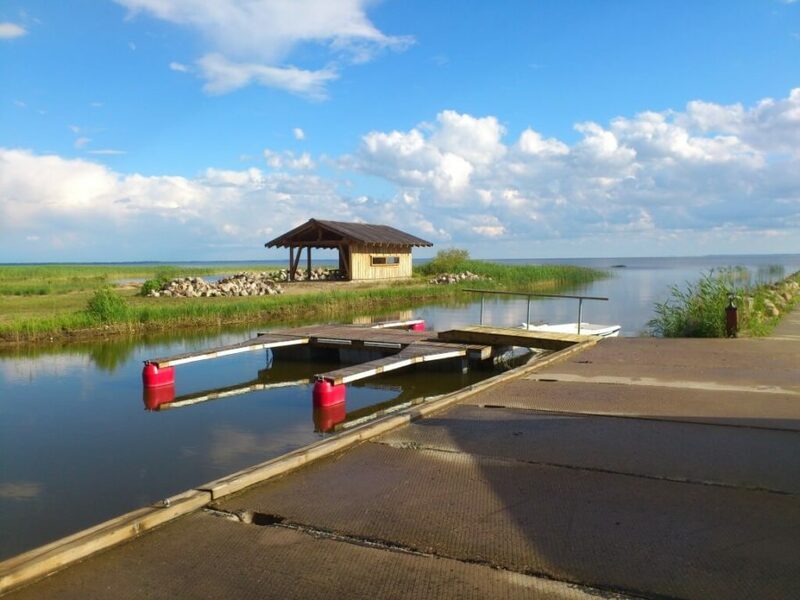 A quick and cheap way to light the pontoon is to use wireless solar-powered bollards and LED lights that create a pleasant atmosphere on the pontoon and in the surrounding area in the evenings. Here you can make use of mooring buoys, boat booms, and mooring fingers which allow you to expand the mooring options. When choosing the right solution, consider the design of the pontoon, freeboard height, and anchorage strength. You can find our expert’s contacts at the bottom of the page – he will help you make the best choice for your needs.